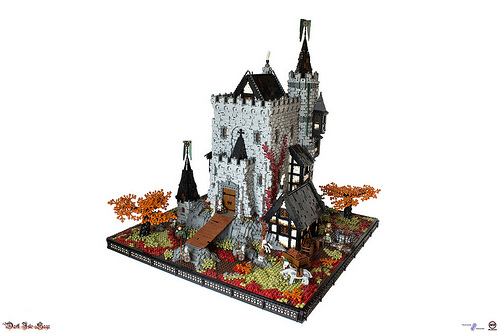 The amount of detail that goes into Luke Watkins Hutchinson’s (– Derfel Cadarn –) castle creations is always among the highest I’ve seen of any castle builder. He also uses very eye-catching colors that border realism and fantasy. His latest creation is a perfect example of his signature style. That’s so amazing! It’s so hard to find specific details to adore because there are so many of them!